After a particularly busy season at Le Marché St. George, Janaki was left fantasizing about a much-needed vacation. She has developed a little obsession with the rich culinary background, natural beauty and history of Spain. It would seem, though, that with her schedule becoming even fuller as time passes, travelling across the world just isn't in the cards for the next little while, so she brought a piece of Spain over for herself, and the product shelves at Marché. 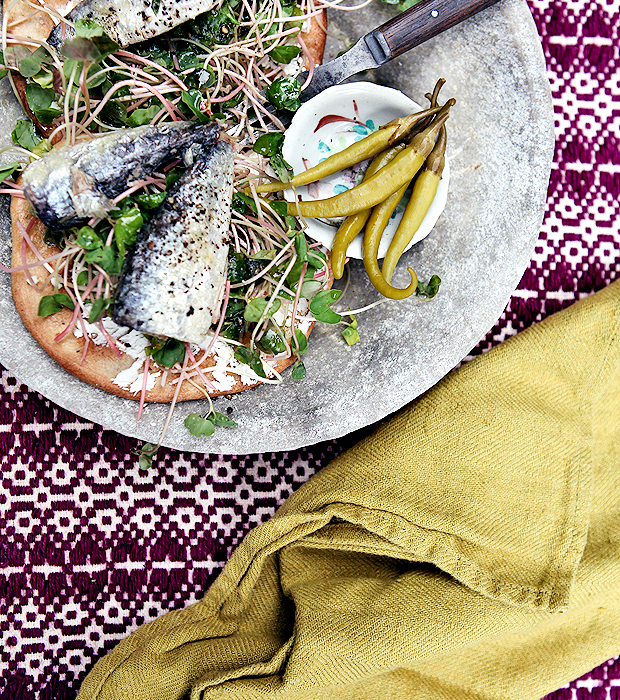 Pictured above is a dish that Janaki made, featuring Spanish ingredients now available at the shop. It includes a combination of a white bean spread, buckwheat sprouts, Matiz España's sardines and lemon oil, olive oil, lemon, salt and freshly ground pepper all sitting on top of Matiz España's Tortas de Aceite, a traditional Spanish crisp bread. 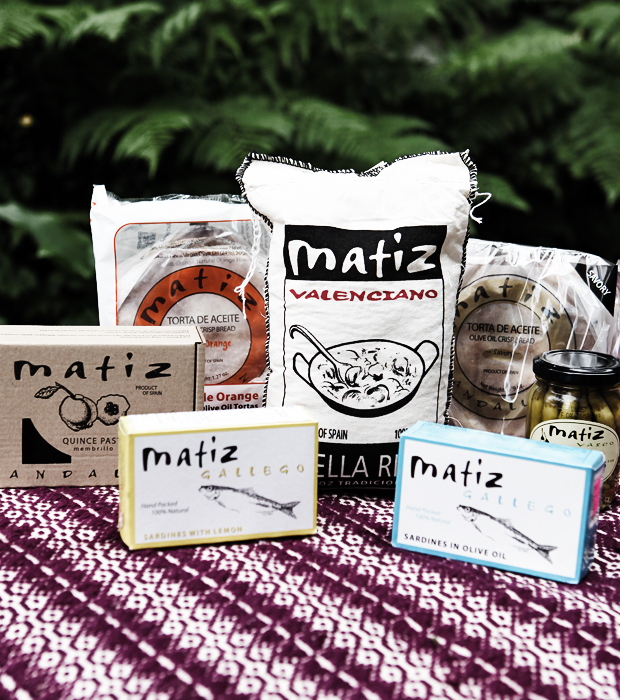 From their website: "Matiz España specializes in locating and importing specialty gourmet food products from this bountiful land. We are proud to work exclusively with traditional family manufacturers who take personal satisfaction in creating only the highest quality all natural products." A delicious tapas meal for your family, friends and guests is closer than you might have thought! Is Janaki's pottery food safe? It's beautiful!